Beer at Fulton Brewing Taproom. 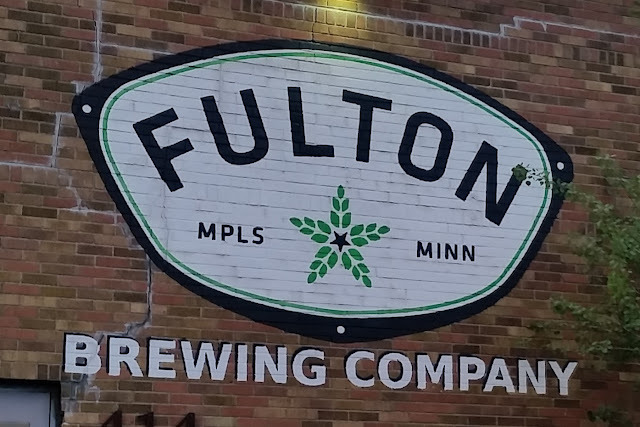 I went to Fulton Brewing Taproom with some of my coworkers one evening while visiting Minneapolis, Minnesota on a business trip. While at the taproom, I had a rare release (Fulton Barrel Aged Porter), a seasonal release (Fulton War and Peace), and a taste of a seasonal release (Fulton Cosmic Stallion). After ordering at the bar indoors, we took our drinks to a table outdoors. Overall, I had a wonderful experience at this taproom and I would come again. Want more of my thoughts and/or comments on the beer listed above?